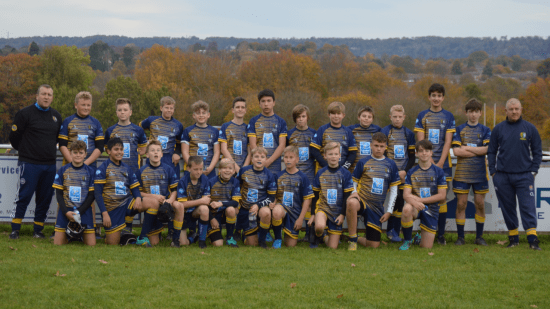 Sunday 24th March saw Thanet Wanderers Under 10s test themselves against the best in the county, entering two teams in the Kent Festival tournament at Aylesford RFC. The Blue team, hit the ground running, and tackling, beating Old Dunstonians 9 tries to 1 then local rivals Medway 9-0. 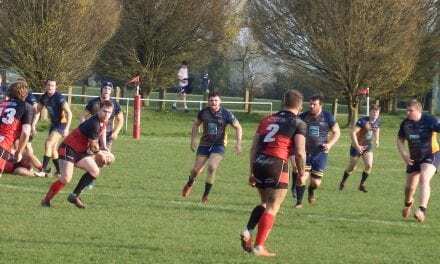 They next came up against a very strong, sizeable and well drilled side from Edenbridge; battling through injuries to come back, grab a try and achieve a very hard fought 1-1 draw. This was a real spectacle which led an opposition coach to comment “that was proper rugby”. The Blue’s final game against Tunbridge Wells was also closely contested; running rugby was held in check as tackles rained in and neither side was able to get the upper hand. Yet players remained committed, attacking and defending hard, they achieved another fair 1-1 draw. The Red team faced off against familiar opponents in their first game in the form of Whitstable. In contrast to their Wanderers teammates they were a little slow out of the blocks. Players were obviously feeling the early morning for the 1 hour drive to get to the festival. Despite this they came out on top with a flattering 4-1 score line. Next up was a sterner test against Sevenoaks. They still hadn’t woken up though and were losing nearly every ruck and quickly went 1-0 down. They kept going though and were rewarded with a try in the final play of the half to equalise. The boys were asked to work harder for each other in the second half and although arguably Sevenoaks were again the better side, Thanet nicked the game with a late try to come out 2-1 victors. An Ashford side, looking to avenge an East Kent Festival defeat, were up next but, unfortunately for them, our boys finally arrived at the festival and put away 7 tries without reply. Special mention must go to Thomas who made it two in two weeks with a try in this game. Finally, we faced a strong Canterbury side but our pace and aggression proved too much for them and we ran out 4-2 victors. Through all games, whether running in the tries or battling hard, the players focus and tenacity was commendable. They did parents and coaches proud and we look forward to testing ourselves on this stage again next year.